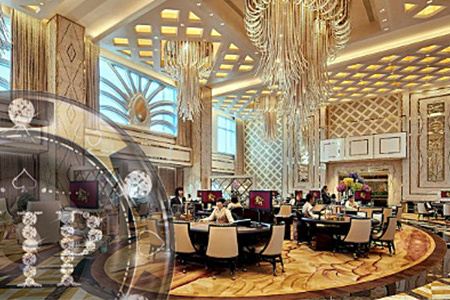 Macau casino operator Galaxy Entertainment Group (GEG) has rolled out a new high-roller area in its flagship Galaxy Macau property. On Wednesday, GEG announced the debut of JinMen8, its new VIP gaming club at the top of the Ritz-Carlton hotel at Galaxy Macau. The opening has been three years in the making and the company claims to have spent MOP300m (US$37m) making sure there was exactly the right amount of gold leaf, marble and Ming vases lying about.